These peonies bloom in my yard every spring. 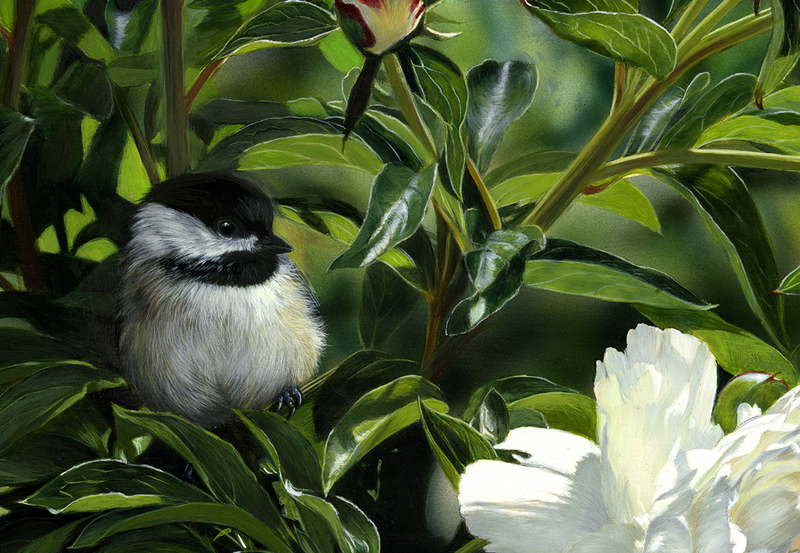 The flower buds exude sugars that attract ants, and this is why I added a chickadee, they eat ants. Lots of wildlife artists paint exotic and endangered species. My message here is that conservation is important in our own back yards and its important to choose environmentally responsible. 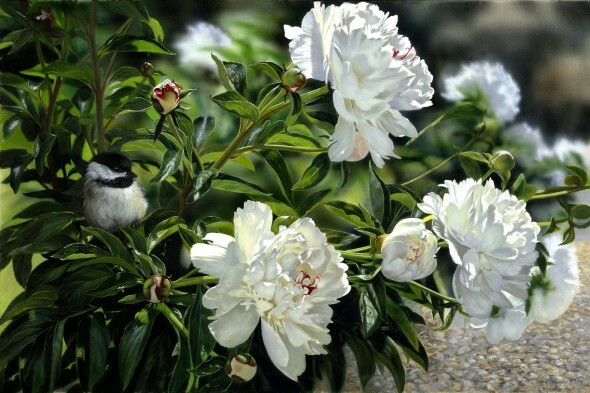 This was my second painting to be chosen for the prestigious Leigh Yawkey Woodson Birds in Art Show, and was one of the 50 artists selected for a nationwide tour along with the world’s top bird artists, Robert Bateman and Carl Brenders. This painting was also chosen for the Artists for Conservation virtual exhibition 2010.